Transformational technology leaders from many companies across the world assembled at the 2016 DevOps Enterprise Forum to discuss DevOps practices, challenges and best-known methods to help our organizations and our community succeed. 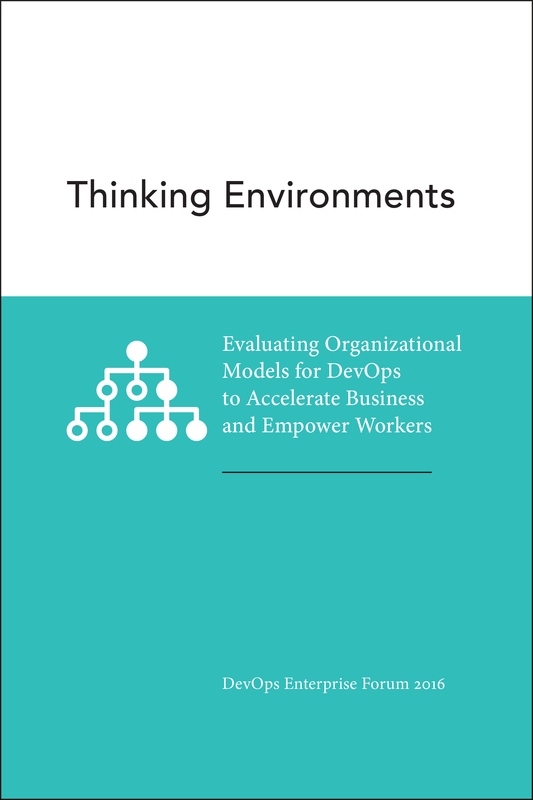 Along with several other leaders, I had the privilege of helping put together a guidance document on DevOps Organizational Models to accelerate business and empower workers. In this free publication by IT Revolution, we take a look at how and why organizations are structured, examine which have characteristics that promote or impede business enabling DevOps practices, and take a deep dive into four different models that began to surface during our research: (1) the traditional functional silo hierarchy, (2) the matrix model, (3) the product platform model and the (X) adaptive organization model.